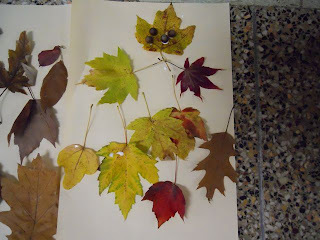 The Preparation: I immediately knew that I wanted to read the book, Leaf Man. 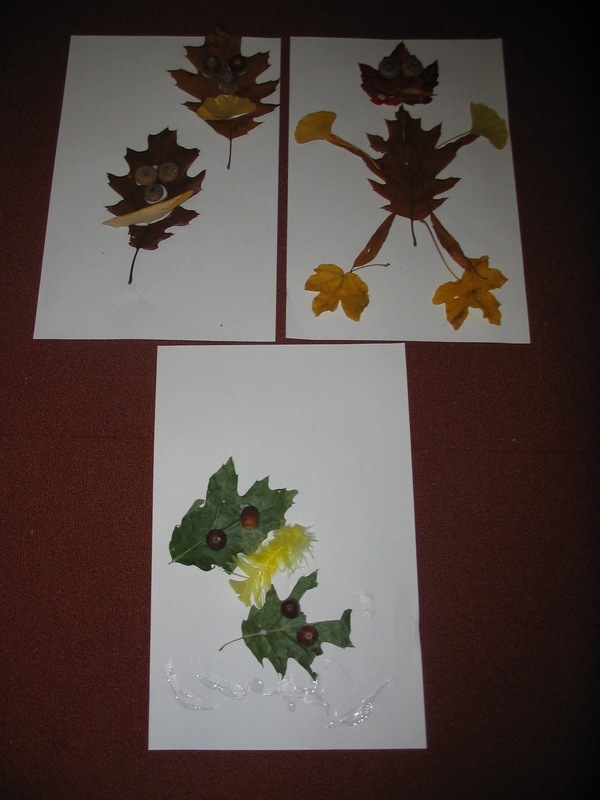 I thought it would be so much fun to make our own Leaf People. Choosing the second book was not that easy of a choice, but I decided to read Wag a Tail because it is full of dogs which I thought would peak the students' interest. In my mind it isn't a birthday party without party hats. 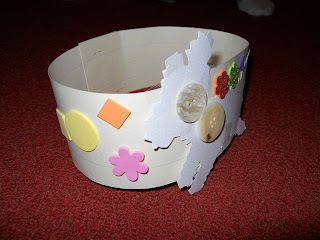 I decided to have the students create hats in the style of Wag a Tail. I traced many of the dogs from the book and then retraced them onto textured papers. It took a while to cut them out as I did not have pinking shears. These dogs were used as the center piece of our party hats. The dogs in Wag a Tail have buttons for eyes so I raided my craft bin and luckily found quite a few. Also, I gathered foam sticker shapes that I thought the students could use to decorate their hat. Lastly, I made two stickers on address label paper. 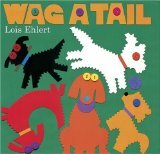 The first sticker said, "I read Wag a Tail to celebrate Lois Ehlert's birthday." The other said, "Today I made a Leaf Man!" I wanted the kids to have these stickers on their shirts and hats so their parents would be able to talk with them about the books and the activities when they got home. There are pre-made stickers available for Leaf Man at Harcourt Books that can be downloaded and printed on label paper. I gave a little introduction about Lois Ehlert and how we will be celebrating her birthday by reading a few of her books. I started with a picture walk of the book, Wag A Tail. Talking about the pictures before reading the book prepared the students to comprehend the story. I asked questions like, "What do you see? ", "Do you have a dog? ", "How would dog sound if it talked? ", "Do dogs misbehave? ", "Can dogs go to school?" Later, while we read, I was able recall comments made by each student during our picture walk to make connections. After reading the book we went to the table to make our party hats. I passed out dogs randomly to the students and then they were able to pick a button from the jar. 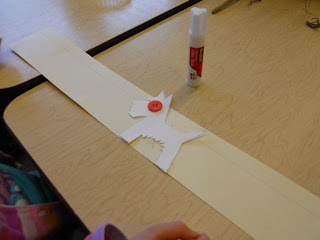 We used "glue dots" to adhere the eyes to the paper dogs. I found the glue dots in the scrapbooking section of the craft store - they worked awesome because I thought white glue would have been too messy for a hat! Then, we used glue sticks to stick our dog in the center of long strips of paper. Once the dog was in place we decorated our hats with the stickers. One of the stickers was the "I celebrated Lois Ehlert's birthday" sticker I made up on label paper and the others were the foam shape stickers. After the hat was decorated we fitted the strip to the size of the student's head and stapled the ends of the paper together. We finished our birthday celebration with a sugar cookie with yellow frosting and leaf sprinkles. The students wore their hats home and received an "Today, I made a Leaf Man!" sticker for their shirt. 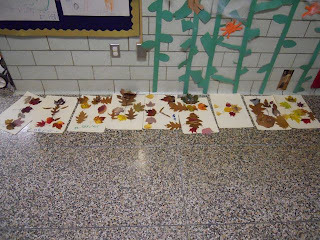 The Leaf People spent the night at the school drying before they head home tomorrow. 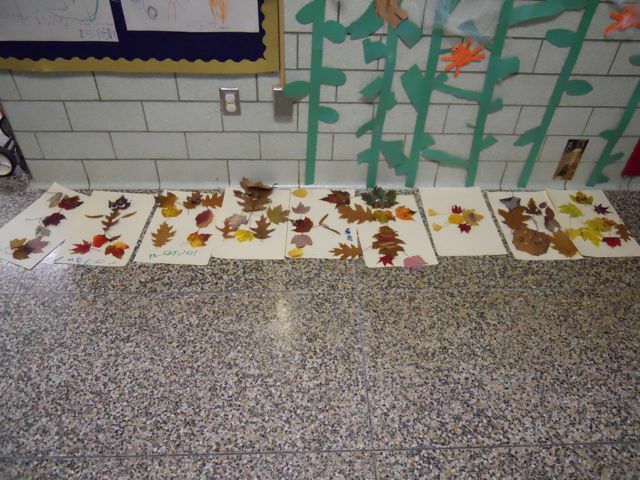 I would like to thank my son and all the students in his class for working so hard on the activities today. You were enthusiastic and excited the whole time! I want to thank the teachers for letting me come in to work with students. I had a blast! I appreciated your help during the activities. Also, thanks for watching over my littlest one during the lesson. 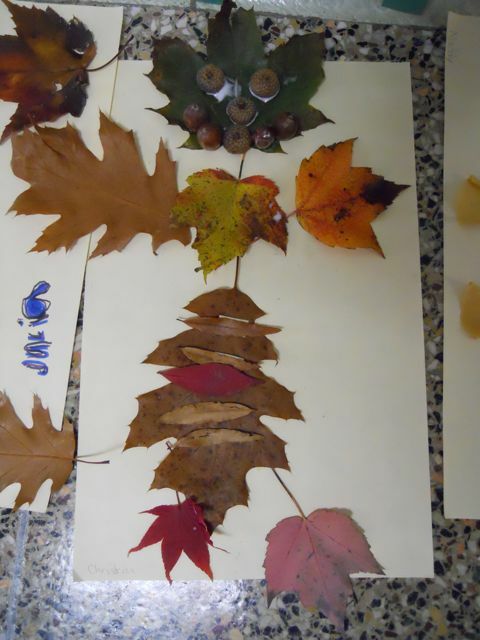 Happy Birthday Lois Ehlert - thank you for providing with such great books. They provided us with "creative inspiration" today! What's Next: I may be heading back next month for another birthday celebration. Maybe Jan Brett, December 1? 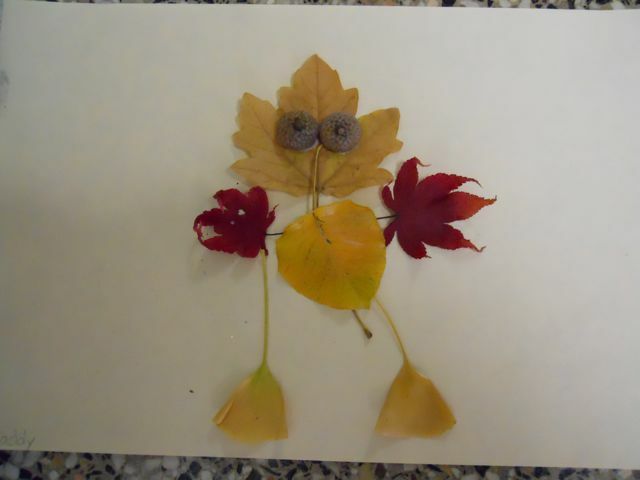 I love the leaf people. I will have to try this one with my kids.